Amy earned a Bachelor of Arts in Communication Disorders from West Chester University and a Master of Arts in Audiology from Temple University. Amy then continued to earn a Doctorate in Audiology from A.T. Still University in 2012. Amy has been with University Otolaryngology Associates since 2002 specializing in diagnostic audiology and amplification. 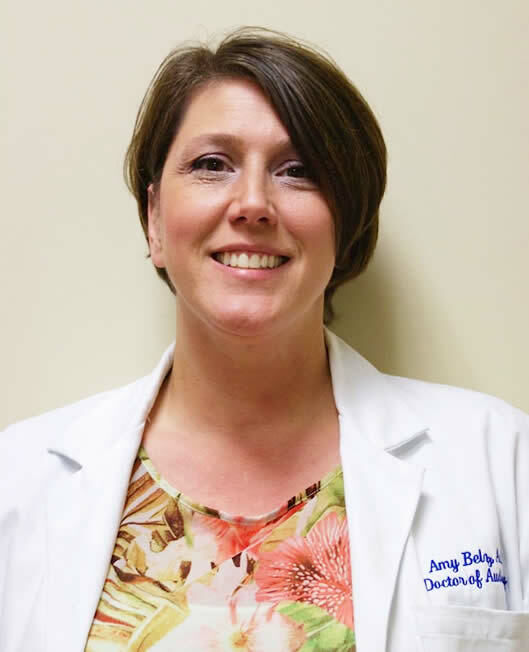 Amy will work with you to diagnose and find solutions for your hearing care. She is able to administer comprehensive hearing evaluations, hearing aid dispensing, hearing aid repairs and follow up. Prior to her start at UOA, she worked for seven years with Dr. Robert T. Sataloff and Dr. Gerald Vernose for one year. Amy is a fellow of the American Academy of Audiology (AAA), one of audiology’s national organizations. While not in the office, Amy’s interests include photography and enjoying life with her two children.